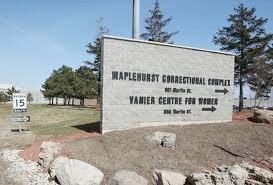 Your Ward News reporter arraigned by prison censors at Vanier. Well, it is a brand new year, and I am currently locked up in segregation at Vanier Centre in Milton, for my article in the December edition of Your Ward News, titled “WHY THE CONSERVATIVE CRIME BILL STILL FALLS SHORT”. Apparently Vanier manager Jane McEckron took great offence to my article detailing the special treatment given to sexual offenders and child killers. The special interest Rainbow brigade that populate the staff of Vanier Centre, from John Duff to someone who goes by the name “Magda” decided that the special treatment they give to sexual offenders is okay, but they try to incite me into trouble. On New Years Eve I was minding my own business on Unit 2E. At 18:30hrs I was taken from my cell to an interview room, where McEckron informed me I was to be disciplined in segregation due to a publication ban on three cases I mentioned in my last article. For reporting facts, exclusively available to Your Ward News readers alone I am locked alone in a cell with nothing more then a blanket, prison track suit, and a Bible for ten days. All because I am a journalist and champion of free speech. Two nights later I, along with those inmates housed in segregation were denied dinner. I have witnessed inmates being placed into freezing cold cells, denied blankets and a meal. All this occurred while Jane McEckron was in charge of the unit. Due to the situation I created in protest, video cameras monitored the situation, forcing meals to be provided hours late. Though prison officials do not come by a career with Corrections Canada because of their intellectual prowess, so I am not concerned. As for the riff-raff inmates, they remain exactly that.